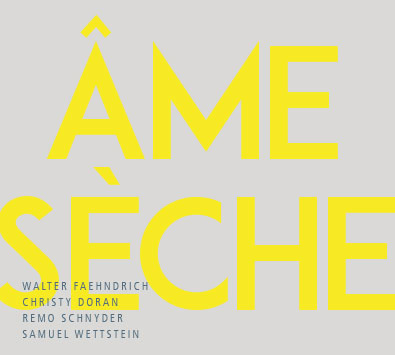 ÂME SÈCHE is an international congregation of musicians of different stylistic origins. Walter Fähndrich is a composer and violist and works internationally with his music installations, as a solo violist and improviser. Christy Doran is known as a jazz musician and as an improviser and as such performs worldwide in bands of various makeups. The award-winning saxophonist Remo Schnyder is inspired by free jazz as well as noise and classical music and performs internationally with a focus on experimental and improvised music. Samuel Wettstein has been influenced by various musical styles and is a member of Ensemble Phoenix Basel. The pieces on the CD are explorations of musical spaces and landscapes and their climates.